Scientific studies and articles in trade publications have focused attention on how bacterial strains are mutating at a faster rate than our current new antibiotic product development, rendering many bacterial strains resistant to the current antibiotic arsenal. All bacteria treated with conventional antibiotics will develop antibiotic resistance over time. The medical community is increasing physician education about the over prescribing of antibiotics and patients not following through on complete cycles of antibiotics as key contributors to this problem. 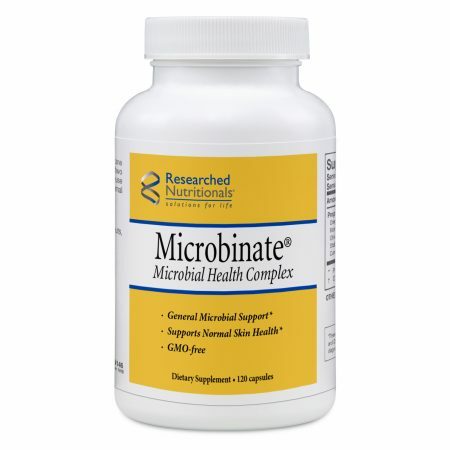 Microbinate® combines nature’s most potent and well-researched nutrients into one formulation. Our formulators selected specific ingredient forms (i.e. we use a well-researched stabilized allicin versus inexpensive garlic powder or oil based products with little or no allicin content) to provide the most efficacious combination product. 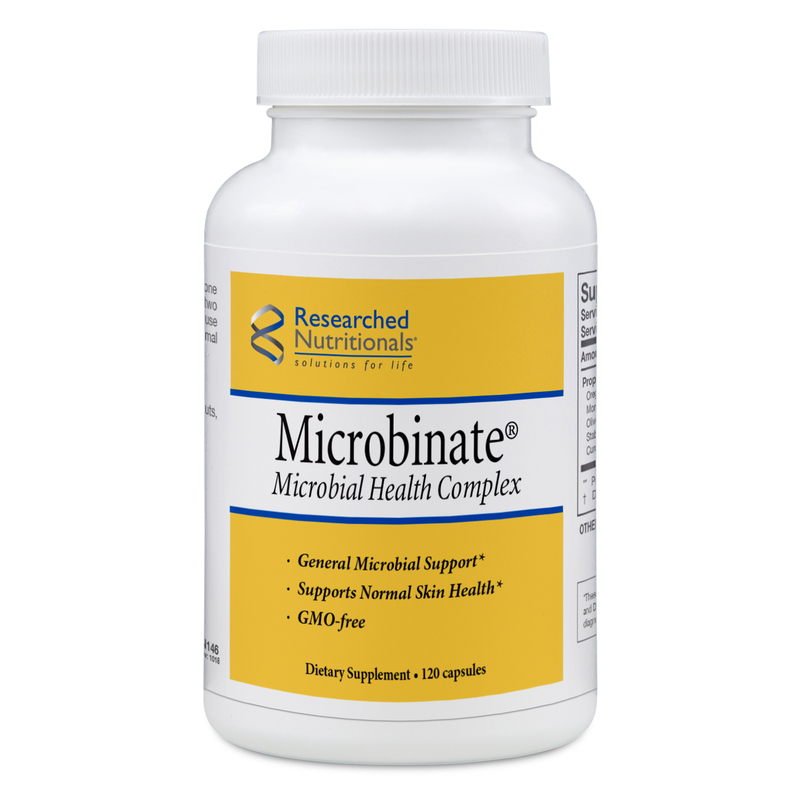 Microbinate® is designed to promote the body’s healthy response to microbial challenges, internally and externally. Microbinate® is a registered trademark of Researched Nutritionals, LLC. All rights reserved. Suggested Use: Take one capsule twice per day for the first week, and two capsules twice per day in week two and beyond, or use as directed by your health care professional. For optimal results, take away from meals. Cautions: Not indicated for pregnant women. Why should women avoid Microbinate® during pregnancy? Many herbs or herb combinations, including oregano, are uterine stimulants and may lead to miscarriage or premature labor.